Barbour International’s SS18 collection takes its roots from three key dates in the brand’s history, the years 1936, 1964, and 2018. Immediately upon walking into the presentation space, guests could see images from Barbour International’s 1936 catalogue projected onto the walls. This was the year in which the brand was conceived. Duncan Barbour, grandson of founder John Barbour, developed a motorcycle suit specifically for the 1936 ISDT event. This one piece wax cotton motorcycle suit proceeded to become a staple amongst the British teams for decades after and, in essence, launched the brand that we all know and love today. The next milestone in Barbour International’s story occurred when Steve McQueen wore the A7 International jacket in the 1964 ISDT. Standing proudly alongside projections of McQueen was a prototype replica of the Bonneville T100 that he and his teammates rode. The final date celebrated in this presentation is, of course, 2018. Being the era of athleisure-wear, relaxed, minimalist pieces from the ‘Sport’ collection are featured alongside pieces from ‘Originals’, a collection that celebrates the more rugged Barbour International looks. As is now becoming tradition, Barbour International also involves art or live demonstrations in their presentations. 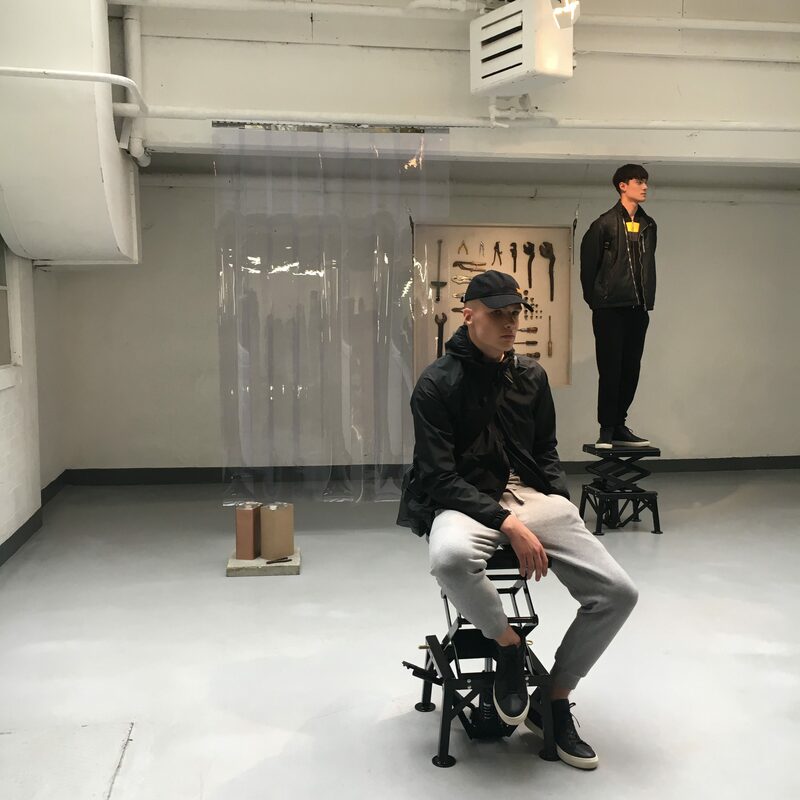 An art installation created by Halley Stevensons, Dundee-based wax cotton specialists, involved SS18 t-shirts immersed in wax, presenting Barbour’s iconic wax legacy in an innovative way. 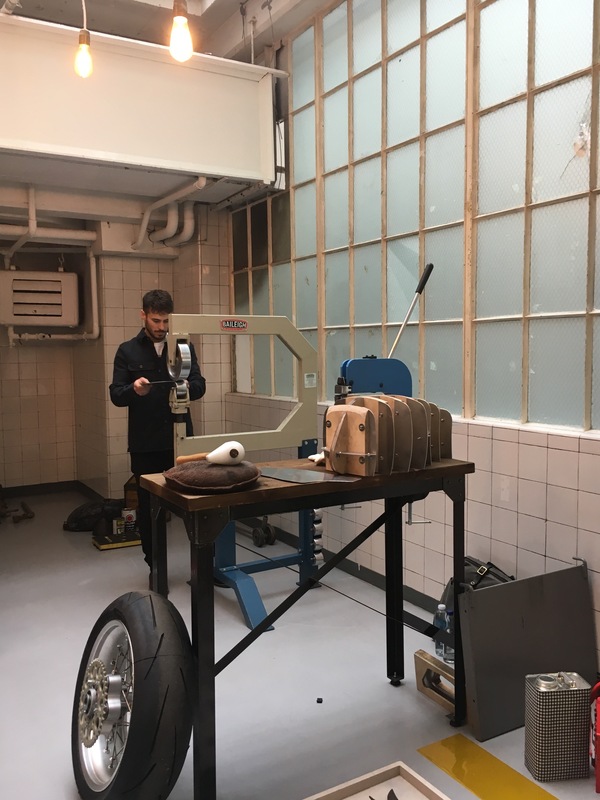 Calum Pryce-Tidd of Debolex Engineering was also building custom motorbikes for the duration of the presentation. 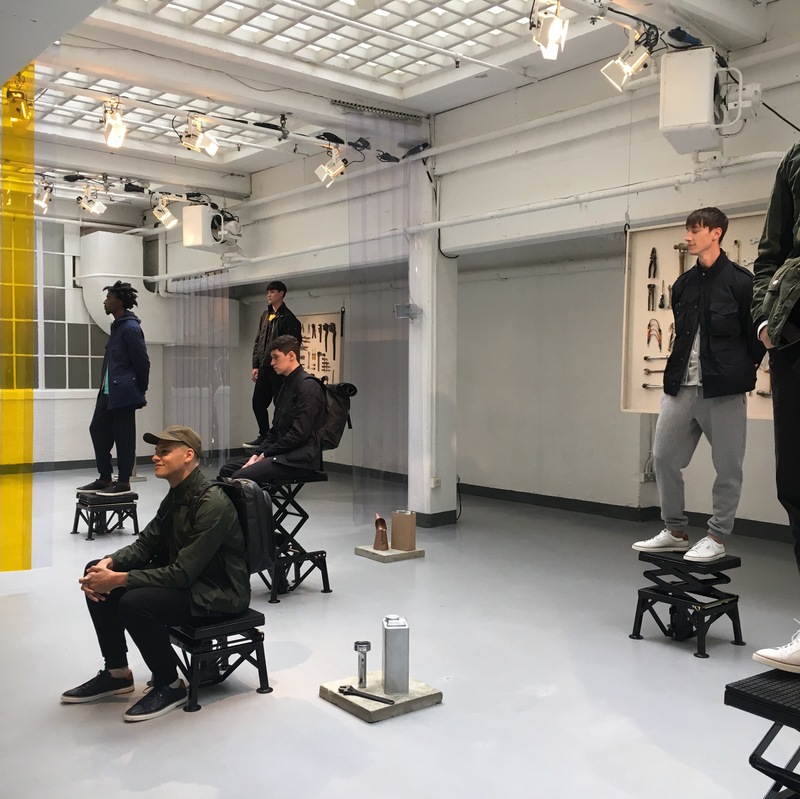 This SS18 offering was very much about taking guests along the journey of Barbour International’s growth. 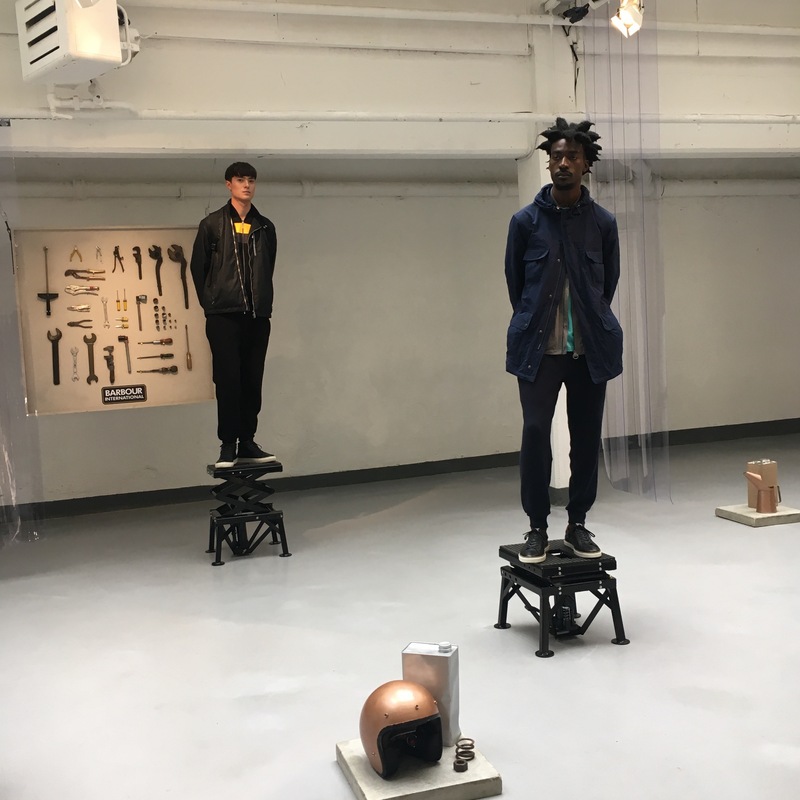 From looking at new quasi-streetwear pieces to appreciating the inner workings of a bike as its being built, every aspect of the presentation was a thoughtful celebration of motorcycle clothing at its finest.